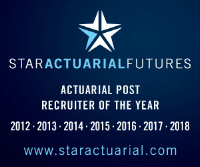 London Market Insurer has a unique opening for a qualified Actuary, or equivalent, to join in a newly created group wide, strategic role. A high-profile opportunity, you will be working closely with the Head of Portfolio Analytics in developing a global portfolio management framework, supporting and influencing Board decisions by championing the use of data and analytics within this truly Global team. To be considered you must have experience within the London Market, ideally with a proven track record of delivering strategic insights using both quantitative and qualitative analysis and be an outstanding communicator, adept in communicating results to a verity of Stakeholders including Senior Management. As such this would be an excellent opportunity for someone with advisory experience, gained from a Consultancy, Broker or an in-house position, who wishes to gain greater access to the whole business and play a major role in influencing key decision makers and therefore business decisions.